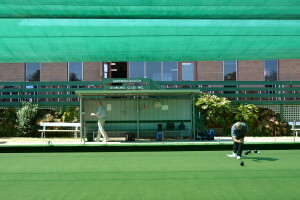 The club welcomes anyone wanting to try their hand at lawn bowls. 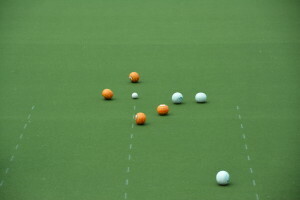 The club has a number of accredited coaches available and a variety of bowls to help get you started. There is no minimum or maximum age when it comes to learning to bowl or becoming a member of the Greensborough Bowling Club. Click HERE to find out more about becoming a MEMBER of Greensborough Bowling Club. Everyone is welcome to our Barefoot Bowls every Friday night starting at 5:30pm from the start of October until the end of March – no booking is required and for just $5 per person you get access to the greens, bar, plus the use of bowls, the clubhouse etc. 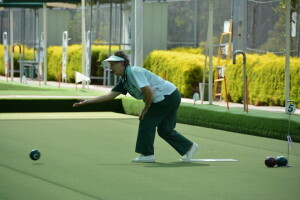 Click HERE to find out more about Barefoot Bowls at Greensborough Bowling Club. 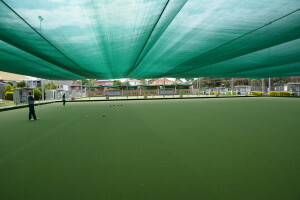 Visitors from other bowling clubs are more than welcome to contact the club and come and try our our new SYNTHETIC SURFACE which was laid in September 2011. It provides a consistent roll all year round. Click HERE to find out more about our FACILITIES. In 2013, our club became one of just two clubs in Victoria to have fully RETRACTABLE SHADES, which helps to protect our players from the Sun during the hot summer days. With just a press of a button, the shades cover the bowling greens to ensure our players are protected from the harmful UV Rays and the HEAT of the Sun. Greensborough Bowling Club has a wide range of teams is a variety of competitions enabling us to cater for ALL skill levels. We have both Ladies and Mens competitions including Tuesday Pennant, Saturday Pennant, Club Championship Events, Sponsor Special Events, Tournaments, as well as Handicapped and Mixed events. Our clubs has competitions and social events that cater for Singles, Pairs, Triples and Fours for people of all abilities. Click HERE to find out more about our CLUB CHAMPIONSHIPS. Click HERE to find out more about our PENNANT competitions. Click HERE to find out more about our SOCIAL BOWLS competitions and events.